It appears that December is the new August, not November! Finally fans of Syfy’s Continuum (actually Showcase’s) starring Rachel Nichols can rejoice with knowledge the show will be extended. However, its fourth season will also be its last and it will only be 6 episodes long. Just enough to roundup the storyline I suppose. Rachel Nichols has already confirmed the news on Twitter. She stated the following “Yes, the words LAST SEASON and ONLY SIX EPISODES are a disappointment to many, but look at the bright side: CONTINUUM gets a proper ending!”. I am still shell-shocked when the show wasn’t renewed automatically in August. Some fans had already taken note of the dwindling viewer numbers, numbers that weren’t high to begin with. Show runner Simon Barry remained optimistic about the chances of Continuum being renewed But when August turned to November even he started to have doubts. I think it is sad the show will come to an end. It was quite good, certainly above average if you consider the limited budget. However, the complicated storyline during season 2 mixed with too much melodrama and a few character leaps even made me exasperated. Those viewers who missed an episode would often be lost when suddenly an antagonist turned into a protagonist. 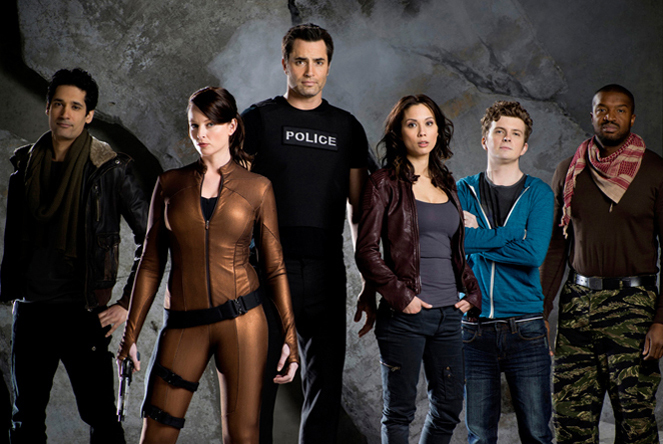 Continuum had a large and memorable cast. Besides Rachel Nichols there was Erik Knudsen, Lexa Doig, Victor Webster, Stephen Lobo, Luvia Petersen Roger Cross, Tony Amendola and Jennifer Spence. Several already had their characters killed off (Doig and Spence) while Victor Webster’s character Carlos Fonnegra suddenly has a lot less to do in season 2. Others such as Luvia Petersen as Jasmine Garza had a lot of potential but never to the the point were you could see consistent improvement. Continuum could have been developed into a spectacular series with the right support. Which makes Syfy decisions all that more weird. I am not sure when the fourth season will air. I expect late spring or early summer just like previous seasons. 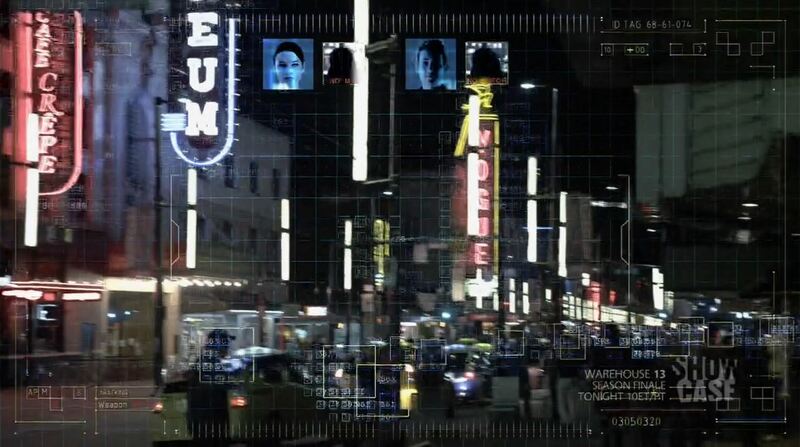 I thank Syfy Channel for giving me once the opportunity to visit the set of Continuum. Sadly I had to cancel and I hope all the best with the cast and creative staff with their next ventured. 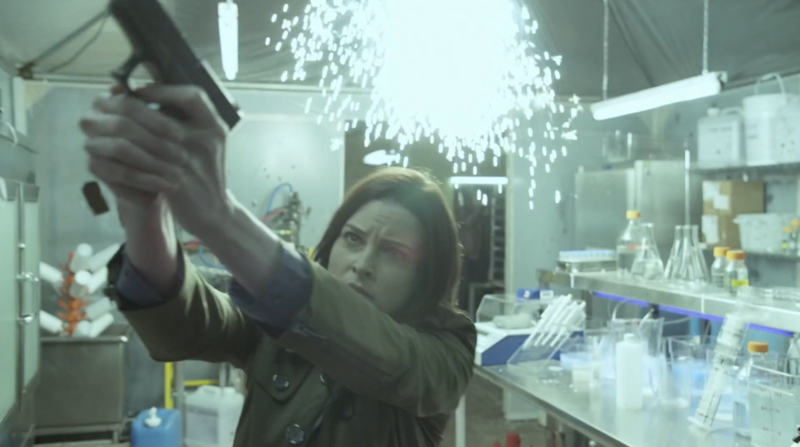 This was Continuum renewed for shortened 4th season – I hope you will not be too dumbstruck by the news. Continuum ‘A Test of Time’ Review!